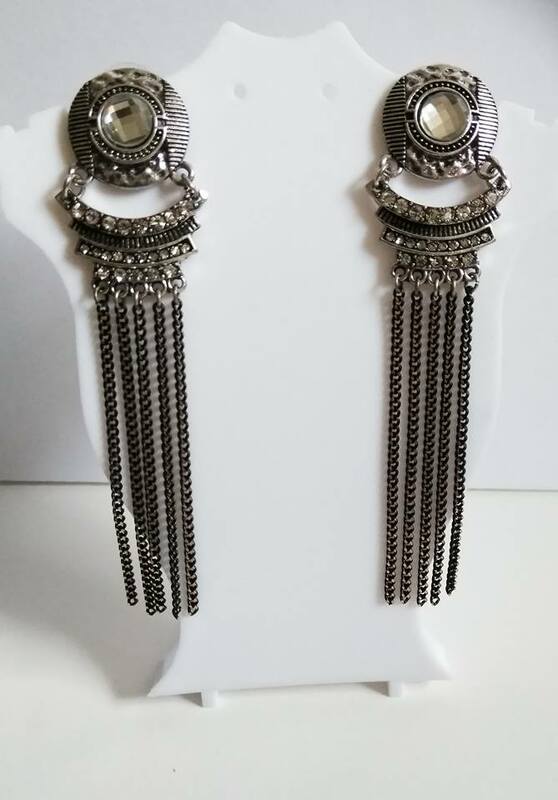 These glamour girl earrings have a hint of gold mixed in the tassel, and rhinestones encrusted. We decided to wear this pair with an infinity scarf to highlight the gold in the tassel. How will you wear this pair? Receive this pair in 3 to 5 business days.